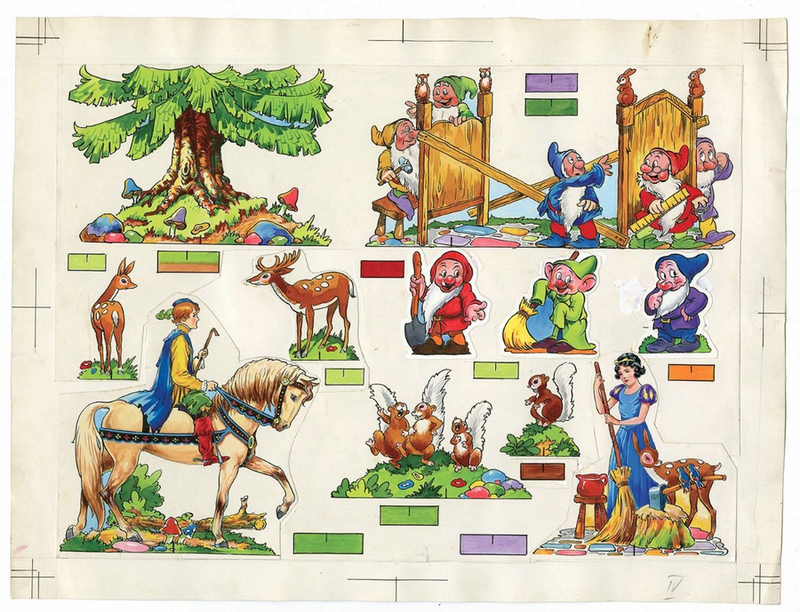 This is a set of two pages of original artwork from Dean's "Snow White and the Seven Dwarfs" cut-out book, published by Dean and Son in 1938. 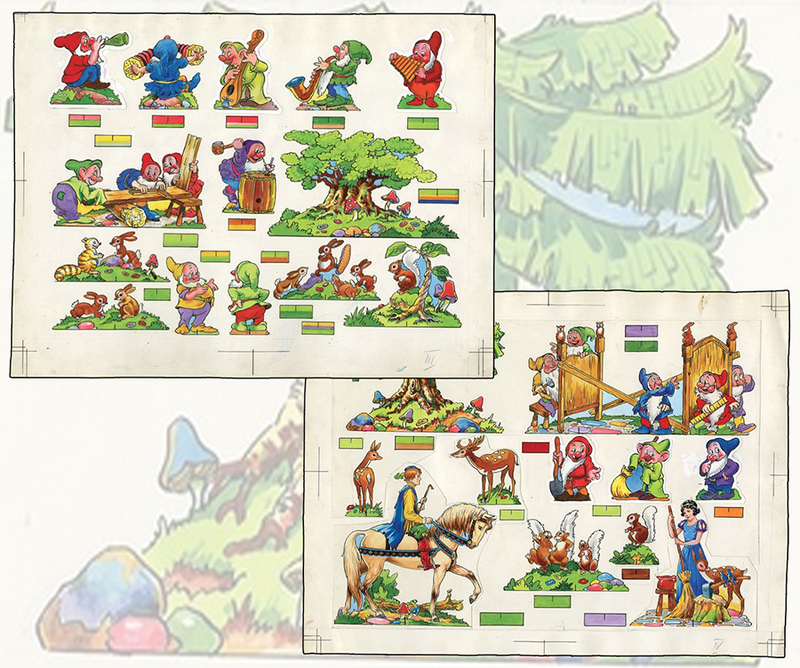 These pages feature Snow White, the Prince, and all seven Dwarfs in various scenes including the rare bed-building scene. Accomplished in ink, watercolor and gouache. 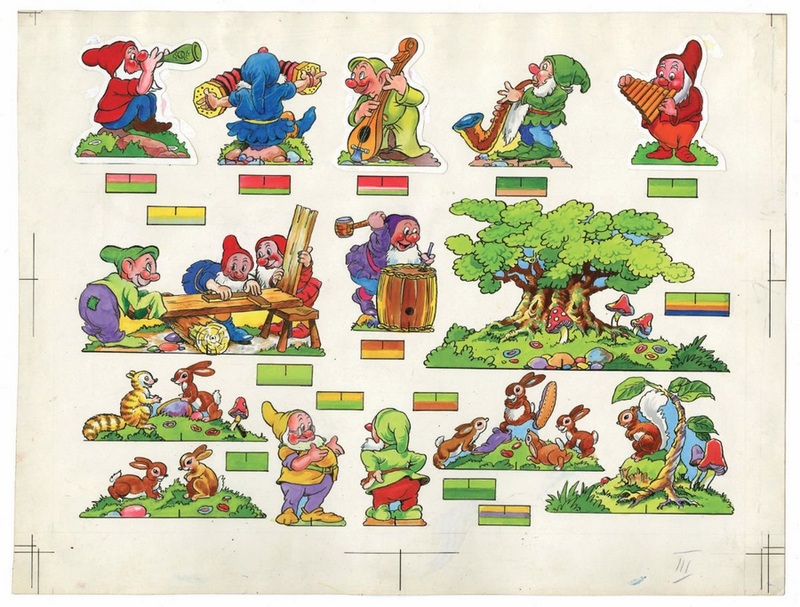 Pages measure approximately 11.25"x15". In very good condition overall.